Orange Coated Nickel Plated Bass Guitar Strings on Round Core. DR NEONs are super bright color coated strings that sound clear, bright and musical. Players love the bright NEON colors and their remarkable sound. Super bright in daylight and under stage lighting, DR NEON is 100 percent black light reactive and glow strongly under UV lighting. NEONs are the first coated string to make no apologies. 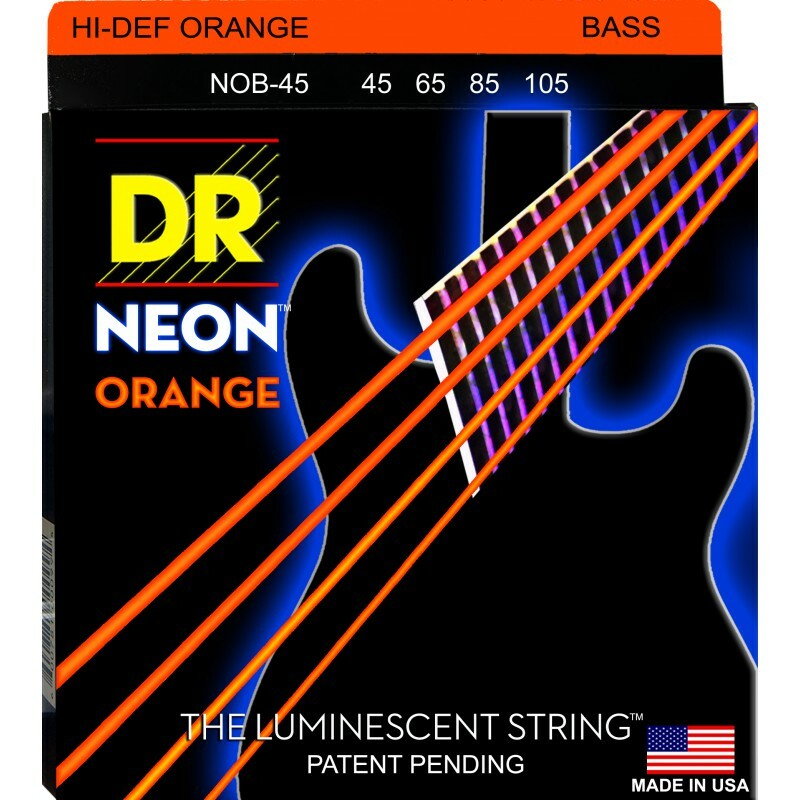 While Neons last as long as a coated string should (three to four times as long as uncoated strings) they sound as good, or better, than uncoated strings.